Pirate Adventures 2, part two of the gripping Pirate Adventures series is a new adventure full of danger and risk. 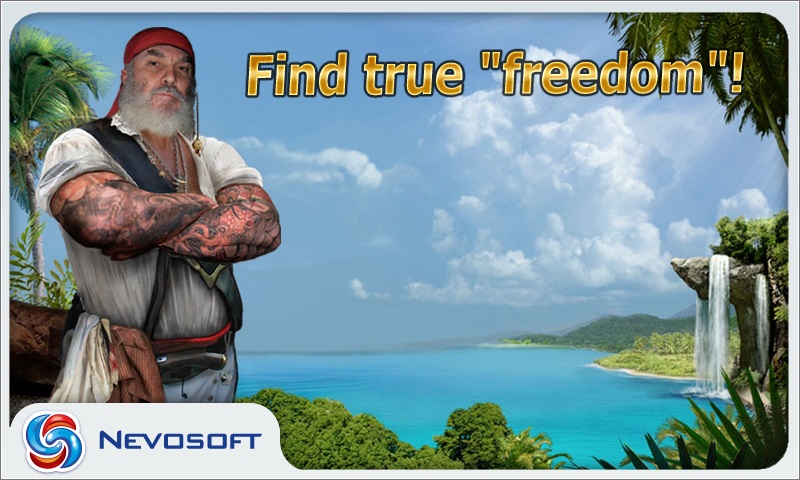 Now, desperate pirate Sharpshooter Jack will encounter the undiscovered secrets of the cursed island with its lost treasure and jewels. What does every dashing pirate dream of? Probably of captaining a ship and finding an island overflowing with treasure. But where can Jack assemble a band of fearless scoundrels? What do the ancient spirits' predictions mean? And how can he get his hands on the ghost's seemingly limitless treasure? In order to achieve this, he’ll need to take big risks and for the sake of his honor and true love. 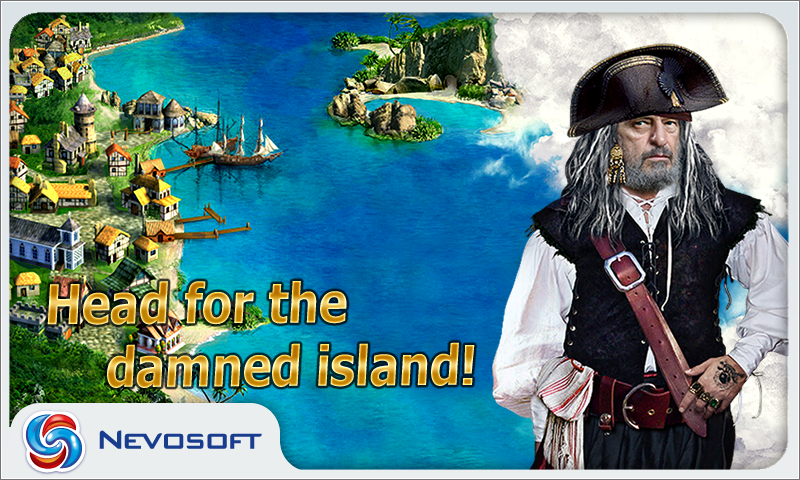 Nevosoft is proud to introduce Pirate Adventures 2 for Android, the second part of the gripping Pirate Adventures series is a new adventure full of danger and risk. Return to the intrigue and adventure of a pirate story in this amazing sequel! Now, the desperate pirate Sharpshooter Jack will encounter the undiscovered secrets of the cursed island with its lost treasure and jewels. Get ready to catch up with game’s characters and meet some new faces. There are 18 stages of play. In keeping with the genre, mysteries consist of finding objects of a particular category, locating various bits and pieces from a list and detecting objects based on their silhouettes. You'll also be asked to spot the differences between two pictures, and you'll have several opportunities to play an assortment of mini-games. Is Jack capable of conquering fate's new trials? He'll need your help to succeed! 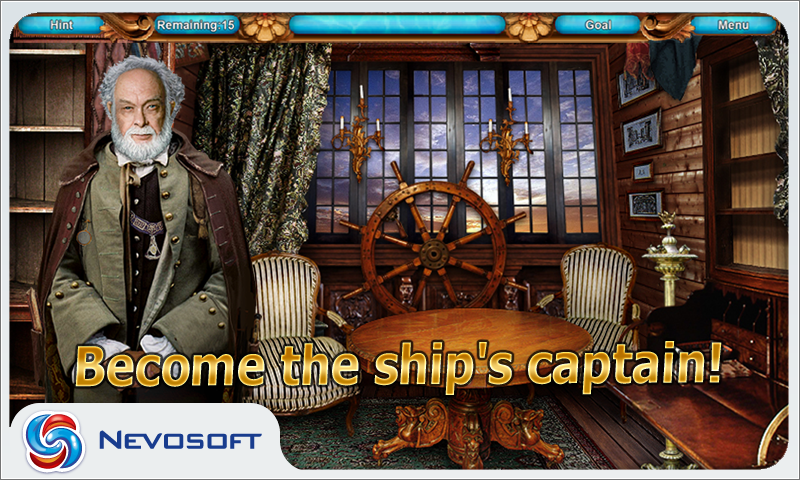 Nevosoft is proud to introduce Pirate Adventures 2 for Android, the second part of the gripping Pirate Adventures series is a new adventure full of danger and risk. Return to the intrigue and adventure of a pirate story in this amazing sequel! Now, the desperate pirate Sharpshooter Jack will encounter the undiscovered secrets of the cursed island with its lost treasure and jewels. Is Jack capable of conquering fate's new trials? He'll need your help to succeed!